Website design perfect for small business –& organizations here in the Twin Cities area.Create the site of your dreams.Don't settle for less, choose G-Force.Get started Today! Website design is more than creating a website that just looks good. A website is your digital premises, and first impressions count. I have assisted numerous companies with their website design and development requirements and helped them to get noticed. G- Force Creative has been designing websites since 2009. I don’t just stay on top of developments on the web; I’m always working hard so that the websites that I design stay ahead of the curve and don’t become obsolete. For most industries, there are now more people logging onto websites from mobile devices, than from laptops or desktop computers. That’s why I make sure my web services are fully optimized and responsive for all devices. I understand it’s just as much about relationships as it is service. I am 100% dedicated to providing only the best services to my clients, which is why my customers are happy and keep coming back. Website design from scratch, starting with a needs assessment, domain & hosting if needed, complete WordPress installation & configuration, theme selection & customization, plugin selection, installs & settings, and then content build-out – until you are comfortable with state of your website. Then I provide support as needed, or if you like – leave you with keys. Nearly 60% of online traffic is done on a smartphone or tablet. If your site isn’t optimized for mobile, you could be missing a lot of opportunities. 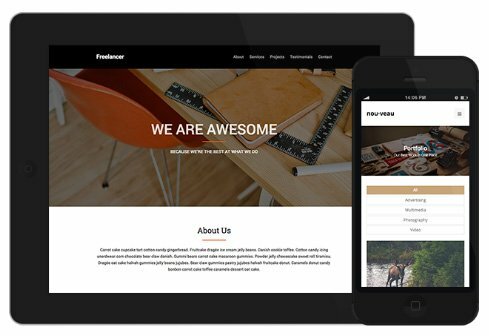 I’ll create a responsive website that makes it fast and easy for your customers to find your business. Every modern WordPress theme allows you to customize its appearance and features through the built-in WordPress Customizer – really good versatile mult-purpose themes have hundreds of areas that are customizable. It can overwhelm you if you don’t have help – that’s where I come in. 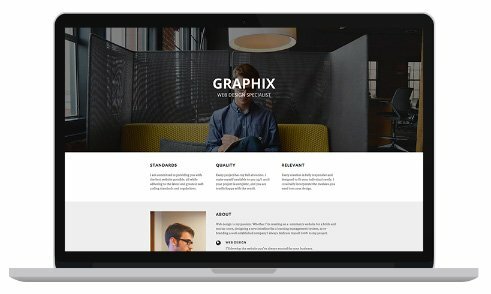 Copy on your website should capture your visitor’s attention, provide them with information they need, and showcase what makes your company unique. To make sure your customers can find your website, it should be written to maximize your search engine ranking – I can help with that too. Imagery can increase sales when your users relate to it. Images help establish an emotional connection between your website and your users. I’ll find the right stock images, shoot high quality photos and videos when needed, and create custom illustration and icons – so your site fits your brand. You want to capture interested visitors and convert them into sales. With a strong call-to-action, you can guide your customers toward their next move. Your call-to-action is the most important component of your website and, when done correctly, we’ll convert visitors. Your business is important – and so is your website. You can try to find a balance between managing your business and managing your website, but that’s probably not the best use of your time. I’ll take care of it for you – or help when you need it.